Spray a 9-by-13-inch pan with cooking spray. Preheat the oven to 350°. Combine the flour, baking soda and salt. Cream the butter and sugars with a mixer on medium speed until fluffy. Beat in the eggs and vanilla extract. Turn the mixer to low and add the dry ingredients gradually. Stir in the chocolate chips and pretzel pieces. Press the batter down evenly in the pan with a spatula. Bake for 30 minutes at 350 degrees F. (177 C) Cool completely. Cut the bars into rectangles and set on wax paper. Add a tablespoon of milk to a can of frosting and stir. 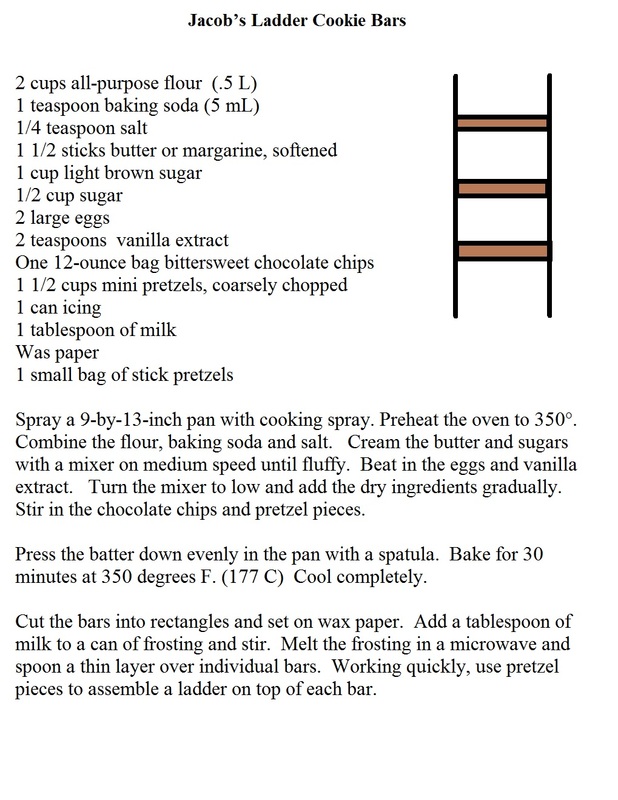 Melt the frosting in a microwave and spoon a thin layer over individual bars. 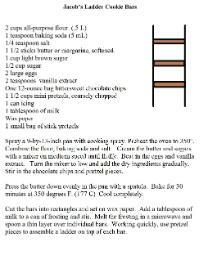 Working quickly, use pretzel pieces to assemble a ladder on top of each bar. 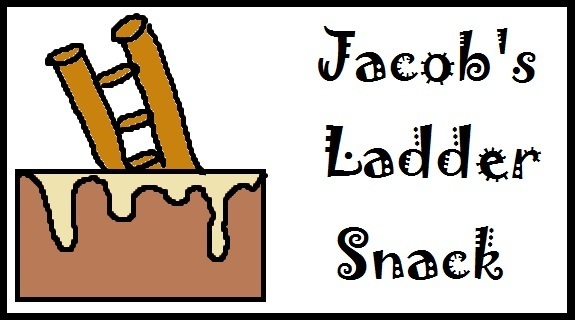 Use this tasty fun snack that goes with our Jacob's Sunday school lesson. This lesson comes with activities. coloring page, Maze, craft and more.